Who's the VC you most admire? Is it "super angel" investor Marc Andreessen, the 47-year-old billionaire behind over 40 successful startups? Or maybe it's Mary Meeker, the legendary VC who Forbes listed as the 77th most powerful woman in the world in 2014. Whoever it is, TouchBase has got your investor worship covered with their new line of VC trading cards. They look like baseball cards -- stats and all -- but are much, much better. VCtradingcards.com is the leading online seller of TouchBase investor trading cards. We carry vintage and rare cards from the 1994 Sand Hill Road Series, the 2010 Gig Economy Series, the 1992 Private Equity Series, the 2015 Unicorn Series, and more. 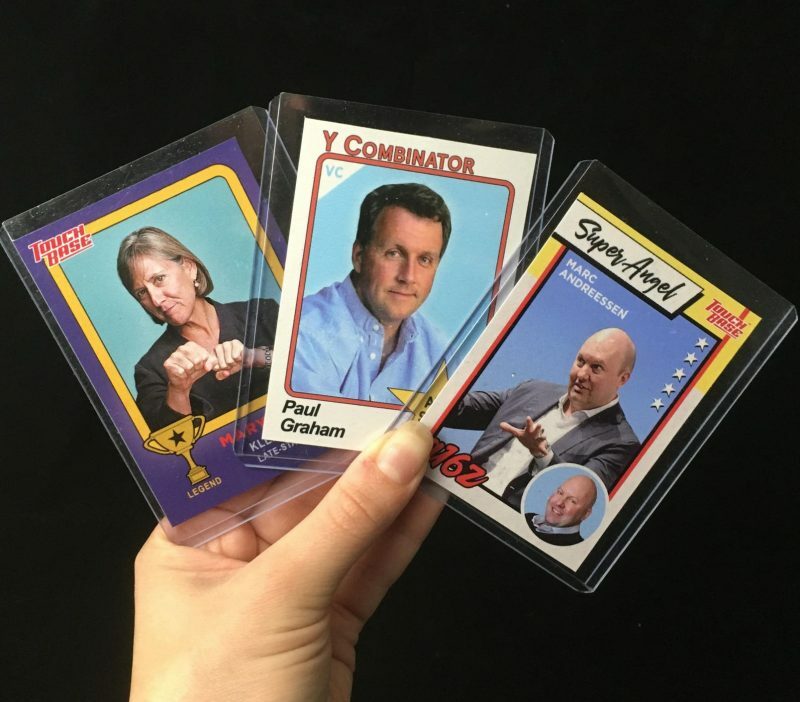 Some of our rarest VC cards include Don Valentine (Sequoia, investor in Atari), Mike Markkula (Angel, investor in Apple), and Jenny Lee (GGV, investor in AliBaba). You never know which cards you'll get in your packs. Many of the VCs featured have had multiple exits, but are on their way to more. This makes their cards highly collectible. And, if your favorite investor, or founder, isn't yet on a card, you can ask the company to print them on a future one. These are real. A VC Trading Cards five-pack is available for $59.99. Steep for ordinary folks, yes, but not Silicon Valley wheelers and dealers. Get'em while you can!